.asia is the first and single one regional, international top-level domain name, approved by ICANN and built for Asian area. It refers to “Asia”, offering strong logo function. Importantly, .asia is an entry leading to Asia, covering the whole Asian market for you. Using .asia domain will show you attach importance to Asian market. .asia is a global identity of Asia on the Internet, and has high recognition degrees and important regional meaning. This domain will help you expend Asian business more smoothly, create unique website image, and increase exposure among Asian users. When Asia gets more and more attention from the world, .asia can assist you quickly decide the website positioning and let the world know you better. With the development of Asian economy, there will be more and more resources and opportunities emerging in the future. 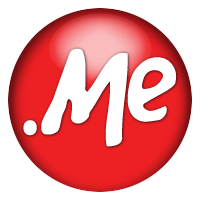 Enterprises, organizations and individuals can register .asia domain names.